DHL Expands Copter Services in the U.S. In New York, London and Los Angeles DHL Express is already utilizing helicopters to fast deliver urgent shipments to the final consignees. Now Chicago has come next where this service is rendered. Is the era of couriers and messengers slowly coming to an end? It almost seems so in view of the current drone tests run by FedEx, some Chinese firms or DHL followed now by the heli service DHL Express is offering in major cities. According to the company, the Chicago flights were launched today (29 April) to provide early morning delivery service for local financial and legal firms requiring urgent document delivery. 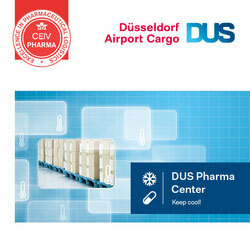 DHL Express is the only international express company to utilize helicopters for regular scheduled deliveries. Its Chicago operation is launched to guarantee early morning deliveries, regardless of traffic bottlenecks and jams. The service will be used by many globally-recognized financial and professional services customers, states the express firm. 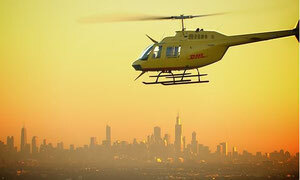 "We have received tremendous customer feedback on our helicopter service in both New York and L.A., so it seemed natural that we would bring this innovative transport method to Chicago, which also is a bustling financial epicenter," said Mike Parra, CEO of DHL Express U.S. "While we have always excelled at making deliveries with speed and reliability, our helicopter service provides additional assurance that shipments will meet their early morning deadlines." International shipments destined for Chicago enter the U.S. for processing at the DHL Hub in Cincinnati before connecting to a flight bound for Chicago’s O'Hare International Airport. Once there, shipments are separated, loaded into the DHL helicopter and transported to the new Vertiport Chicago in the Illinois Medical District. From there, a DHL courier meets the helicopter and provides the final mile delivery. The DHL helicopter, a Bell 206B3 Jet Ranger, is operated for DHL by Helimotion of Joliet, Illinois. 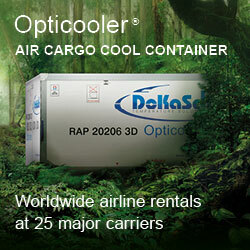 It can uplift shipments weighing up to 650 pounds. DHL introduced a helicopter service in Los Angeles in 2014 and has been using the service in New York for many years. In addition, a new helicopter service was launched in January in London, UK.